In his book ‘the Sales Acceleration Formula’ Mark Roberge shares his equally unconventional and impactful vision on the B2B sales discipline. That vision is threefold. 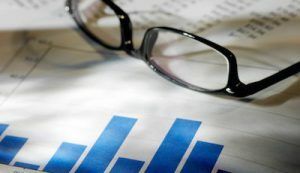 he wants salesprofessionals, CXOs and entrepreneurs first of all realize that sales can be data-driven and predictable. Secondly the sales discipline needs to radically change. Thirdly, the perception of sales should and will improve as a result. As the Chief Revenue Officer at HubSpot, Mark Roberge depicts five formulas in modern sales that better enable B2B to growth. Delivered in an accessible fashion, this book also depicts the story of SaaS-pioneer HubSpot in inbound marketing and sales: the Boston-based firm grew from $0 to $100 million in revenue under Roberge’s leadership. Sales in B2B is and will be driven by people. The first formula sales success therefore is about hiring the very best (10 percent) salesprofessionals. Mark Roberge was the first sales to be hired by HubSpot. With an engineering background, he boasts an unusual profile. He applies that technical background to recruitment, selection and promotion of his salesteam. Roberge applies amongst others correlation analyses between the measurable, personal traits of his sales professionals and their performance. He thereby discovers that some conventions on drivers to sales success (convincing, handling objections, closing the deal) often are of lesser weight and importance than aspects like coachability, curiosity and intelligence. Salestraining is formula two. Mark Roberge merely focuses on hiring the best 10% sales performers, to form a team of ‘trusted advisors’. In his philosophy modern B2B sales does not feel like a seller/buyer interaction yet as a dialogue between a doctor and her patient. The beste salespeople have themselves experienced the hardship and challenges their customers face on a daily basis. Mark Roberge’s sales training curriculum triggers salespeople to experiment with a website of their own, to start blogging or participating in social media using their own hobby or favorite topic such their american football club as starting point. This is how they themselves become experts in grasping the inbound marketing and sales issues their customers and prospects face. Salesmanagement is the third formula to success in modern B2B sales. Not surprisingly, Mark Roberge brings his very own data-driven perspective to coaching, compensation and development too. Using the data as his best friend, the modern-day salesmanager is much better capable of delivering one-to-one coaching. Is more attention needed to deal with unqualified leads, in timemanagement or running effective salescalls? Only thus can key metrics be explained (and boosted!) such as the conversion of the number of leads created to the number of leads worked, the conversion thereof into the number of demos and finally the conversion of demos to sales. Roberge’s perspective on salesmanagement promotion and remuneration should also be altered for the better. Roberge moves away from scheduling an annual review that provides salesfolks an almost steady increase in their base salary with bonus. Rather than that, HubSpot’s CRO (Chief Revenue Officer) introduces a methodology using three levels in sales maturity that can be objectively gauged. As soon as a salesprofessional reaches the next level in sales maturity, he or she deserves to rise to the next level. That may be after 14 months for some, and for others after a mere 3 months. Sales contests help to instill a healthy dosis of competition amongst sales peers. Ongoing education in sales and salesmanagement is key as well. At HubSpot, Roberge developed a 12 week sales academy that includes topics like change, coaching and handling conflict. Demand Generation comprises part IV of the Sales Acceleration Formula. HubSpot’s employer’s philosophy in B2B inbound marketing and sales obviously comes to life best here. When flipping the funnel – get buyers to find you – the successformula in demand generation is all about the proper Spiel between marketing en sales. Roberge is not afraid to break with sales dogma. One may think of the preconceived idea to many B2B companies to use the same proper pitch over and over again with all prospects. This is what Roberge proposes instead: ‘Call low, then high. On the call, scrap the generic elevator pitch’. An other dogma is the executive lever: many a salestrainer would emphasize you start at the executive level at your outbound calls in order to obtain a senior reference and introduction to the right level or discipline. Mark Roberge stresses the need for marketing to produce the right, constant volume of good leads and (timely) hand them over to sales to be followed up on in a timely fashion. ‘Sales is accountable to Marketing just like Marketing is accountable to Sales. The Sales SLA defines a series of behaviors expected of the Sales team to ensure each lead is worked effectively’. Mark Roberge finishes The Sales Acceleration Formula with a fifth formula on modern, inbound sales. Deploying the right technology not only empowers salesmanagement in overseeing progress yet also helps the accountmanager and SDR/ sales development representative doing the legwork. This enables the salesprofessional not only to maximize the amount of time he is in direct touch with relevant prospects (online or face-to-face), and also to provide prospects with the right content and context. Sales technology for example helps to automatically populate the right, additional data to each prospect. By applying this to the lead sourcing process, ark Roberge managed to accelerate that flow by a factor 8 (!). Sales technology not only helps the accountmanager to better understand what stage of the buyer journey a prospect is at. Smart sales tools make suggestions to a sales professional as to when to share content and collateral te delen. This helps to make both the commercial process and the buying process a lot better, easier and faster. Roberge stresses that alle ‘SMarketeers’ are to benefit from this. Salesmanagement gets a better view of the funnel, forecast and individual sales performance. Marketeers obtain a better view as to eg what leads that were generated are actually being followed up on, what type of leads convert best and what salespeople do best use content created by marketing. Accountmanagers and sales executives themselves get a better picture as to what prospects have responded most recently and intensively to sales emails and content, how their sales activity and volume relate to peers in the the salesteam and what leads of opportunities require more attention. Small experiments more and more become fashionable in B2B marketing. Think of A/B-tests to compare conversion rates of one landingpagina or call-to-action to the next. Mark Roberge calls for a similar approach in sales. He eg provides full room to manoeuvre to one of his first sales luitenants Pete Caputa to prove – against all odds and the advice of the HubSpot board of director – to prove the business value to HubSpot of a partner channel and to actually develop that partner channel too. Nowadays a substantial amount of the HubSpot international revenue and growth is driven by partners. Also, Roberge allowed the team to some experimenting with a better approach in sales methodology (‘beyond BANT’ ). In better qualifying leads this experiment was first tested with his top sales executives. Here’s the thinking: if they could not produce significantly better results, how could their peers? This also allowed this new methodology to spread internally – ensuring a maximum adoption by the salesteam as a whole. The Sales Acceleration Formula is an inspiring and actionable managementbook to serve curious B2B accountmanagers, salesmanagers and marketingmanagers. 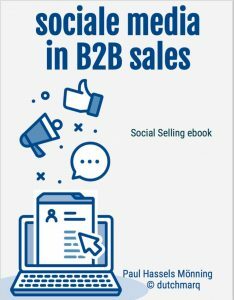 Those who realize growth in B2B in the 21st century requires a modern, inbound sales & marketing approach should definitely put this book next to their bed (and read it!). As Mark Roberge emphasizes: these readers should assess for themselves what lessons and formulas provided by The Sales Acceleration Formula to implement in their own industry and business. Have you become curious to read the Sales Acceleration Formula by Mark Roberge? Order this book now.